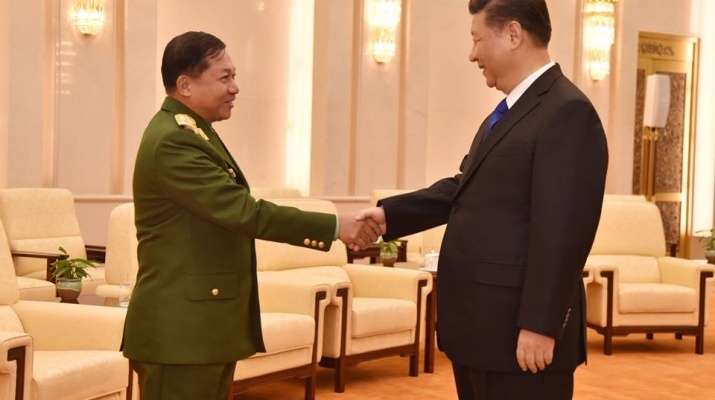 Commander-in-Chief of Defence Services Senior General Min Aung Hlaing arrived in the People’s Republic of China to pay a goodwill visit on November 21. Before meeting with Chinese President Mr. Xi Jinping on November 24, the Senior General held talks with Gen. Li Zuocheng, member of the Central Military Commission of China and Chief of the Joint Staff Department of the People’s Liberation Army and Gen. Xu Qiliang, Vice Chairman of China’s Central Military Commission. At the call, President Mr. Xi Jinping said the Senior General’s goodwill tour to China was distinct. The tour was coincided with the successful completion of the 19th National Conference of the Chinese Communist Party which could draw the attraction of international community. 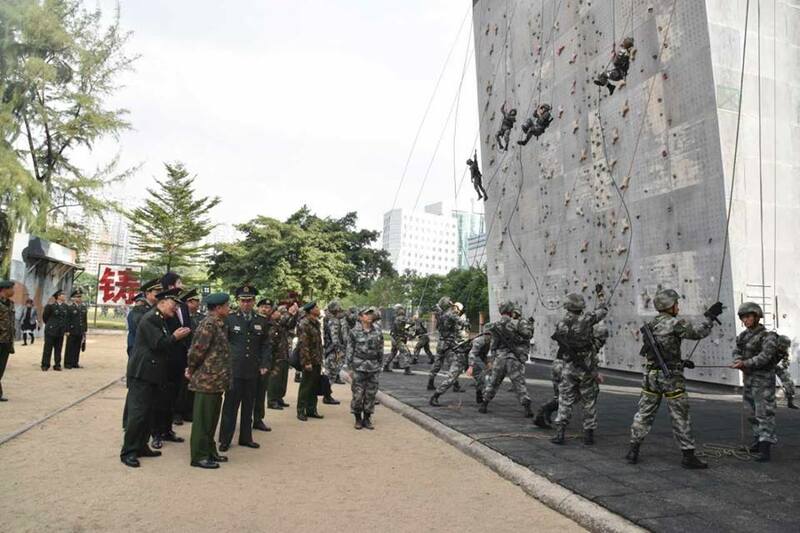 China paid a special attention to the goodwill tour as it was the first tour by the foreign military chief shortly after the completion of the conference. For the socio-economic development of China until 2050, policies, roadmap and strategies which were crucial for China were laid down at the CPC’s conference. The move was to share its development with other countries. 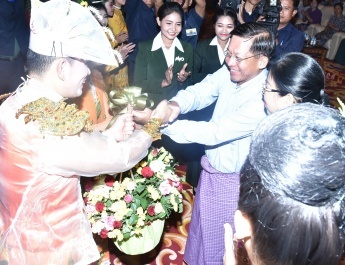 China’s development would help support Myanmar’s development. Myanmar and China had a long history of relation. As being the “Paukphaw” relations and the Comprehensive Strategic Cooperative Partnership, both countries would further promote relations. In addition, the relations between armed forces of the two countries was good. As that relations reached the best time, the government supported the Chinese People’s Liberation Army for extensive cooperation. 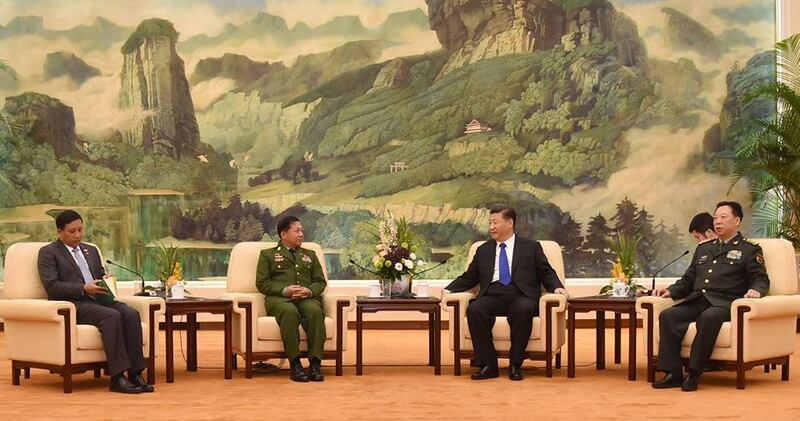 China placed a special emphasis on regional situations in the international arena and supported Myanmar and Tatmadaw’s handlings of Rakhine affairs. In addition, China would continue providing necessary assistance to Myanmar. Holding more discussions between armed forces of two countries would help support peace and stability in the border area. The relations with government leaders were also good. The Tatmadaw and the Commander-in-Chief of Defence Services play a crucial role in Myanmar’s national politics. 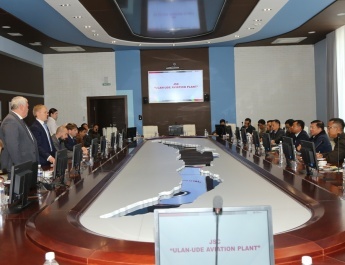 The Senior General’s tour was crucial for amity and the Comprehensive Strategic Cooperative Partnership. It was a crucial and successful tour. 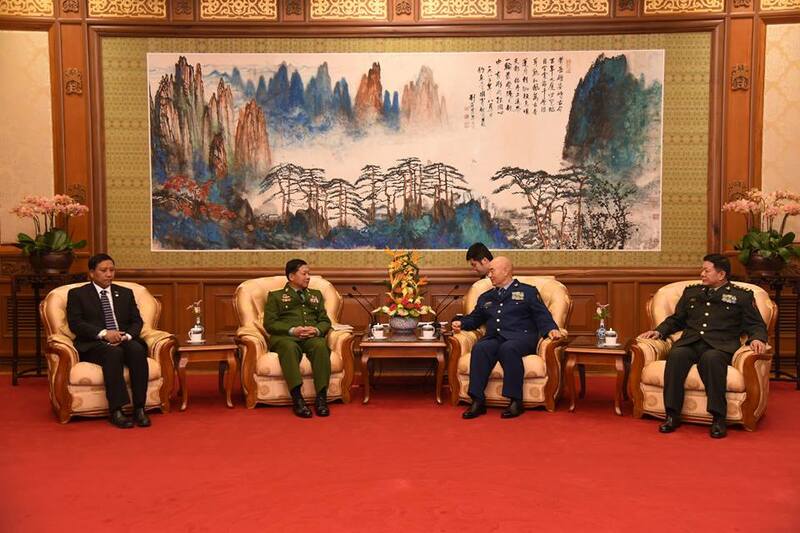 The Chinese President invited the Senior General to make frequent visits to China. The Senior General said he expressed his pride for the successful completion of the 19th National Conference of the Chinese Communist Party, the laying down of policies and guidance for economic and social development of China and the re-election of President Mr. Xi Jinping as the General Secretary of the party and the Chairman of the Central Military Commission. 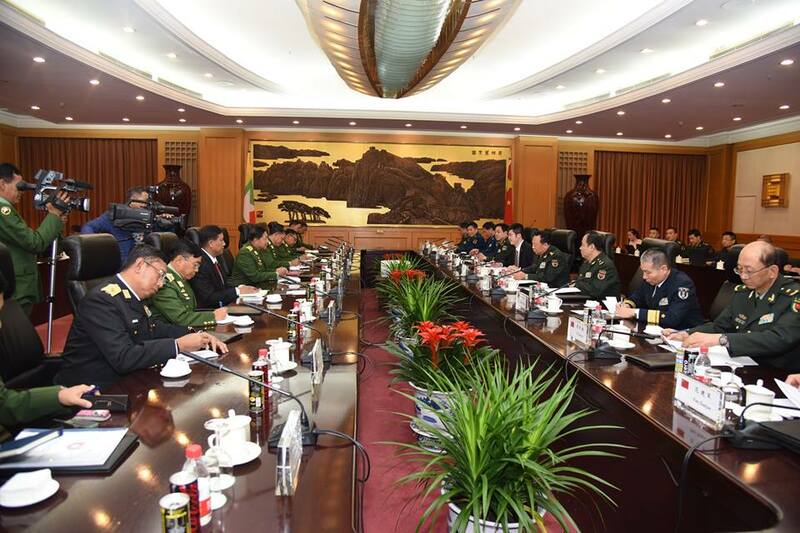 China’s helps for the development of Myanmar and Myanmar Tatmadaw via the “Paukphaw” relations, China’s supportive position towards Myanmar over the Rakhine affairs in the international arena through the understanding of real situations had witnessed that China stood as a good and strategic partnership. Suggestions given by Chinese Minister of Foreign Affairs on his trip on coordination with Bangladesh to re-accept the fled Bengalis under the Law, development of Rakhine region, and security, peace and stability of the region are being implemented. As the Rakhine conflict is potential of concerning about regional security not only for Myanmar alone but also for neighbouring countries, it needs to cooperate with neighbouring countries to consider such issue on various points of view and to make cooperation. The One Belt One Road programme of China can contribute much to development of many countries including Myanmar. Myanmar is making utmost efforts for overcoming many difficulties while carrying out political reform since 2011. 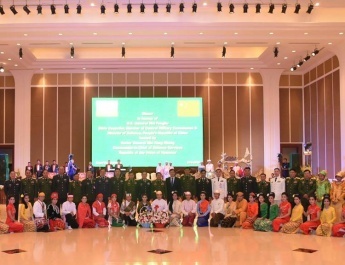 As the Tatmadaw is focusing on restoring eternal peace in Myanmar in implementing the peace making process in the nation, progress can be made through friendly relations with neighbouring country China and friendly ties between the two armed forces. Agreements on cooperation between the two armed forces based on the meetings with Member of the Central Military Commission of China and Chief of the Joint Staff Department of the People’s Liberation Army Gen. Li Zuocheng and Vice Chairman of the Central Military Commission of China Gen. Xu Qiliang will be implemented with the encouragement of the President of China. The Senior General said that he grasped the opportunities to observe development of China on during present trip. He expressed his trip was beneficial because he himself observed farsightedness of Chinese leaders for overcoming many difficulties in building world’s wonderful Three Gorges Dam, benefiting the people in preventing flooding and natural disasters and contributing to regional development, and advancement of engineering science of Chinese experts. 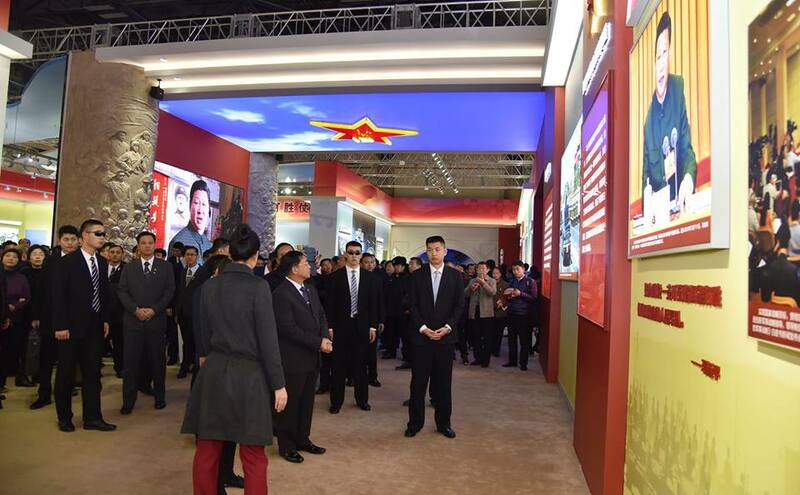 The Senior General took pride for his status on his first visit after the 19th National Congress of the Communist Party of China with serious attention paid by the President of China. Strenuous efforts are being made for future of the country and for new generation leaders of the Tatmadaw. He expressed his cooperation plans to hold meetings between the two armed forces with brotherly spirit for ensuring peace and stability of the border. And, the Senior General said his trip was successful as it promoted friendly relations and cooperation between the two countries. 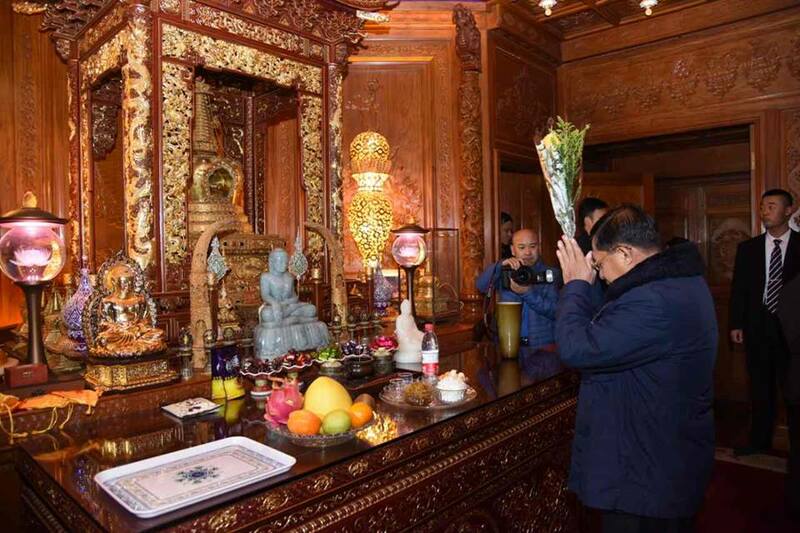 The goodwill journey of the Commander-in-Chief of Defence Services to China was from 21 to 26 November. During the trip, the Senior General held meetings with Member of the Central Military Commission of China and Chief of the Joint Staff Department of the People’s Liberation Army Gen. Li Zuocheng, Vice Chairman of the Central Military Commission of China Gen. Xu Qiliang, and Commander of Southern Theatre Command Vice Admiral Yuan Yubai, visited Three Gorges Dam near Yichang City, Paid homage to the sacred Buddha tooth relic in Beijing, and visited booths on 2012-2016 development and achievements of President Mr. Xi Jinping at the Beijing Museum, the Military Special Operations Academy in Guangzhou, and Shenzhen Lotus Hill Park and Shenzhen Museum in Shenzhen. 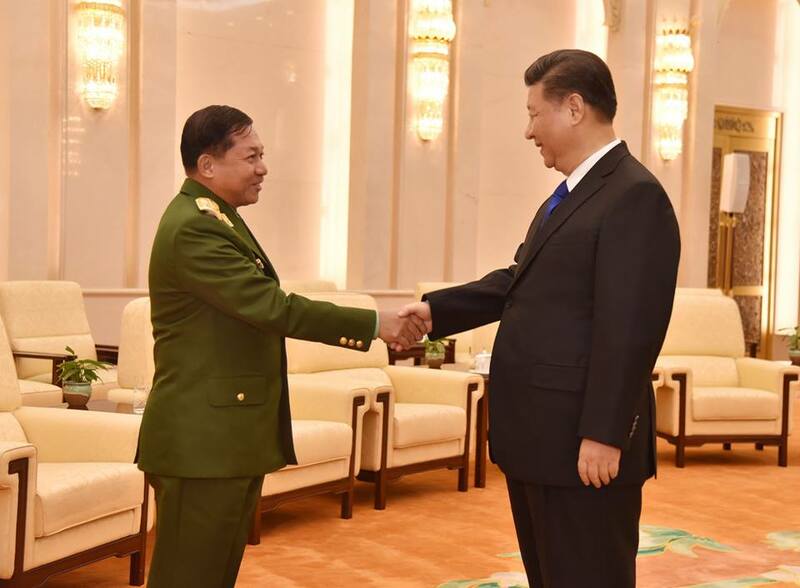 As significant events on the current journey, the President of the People’s Republic of China and military leaders said the Senior General was the first and foremost military leader of foreign country received by President Mr. Xi Jinping after the 19th National Congress of the Communist Party of China; the Senior General was the first foreign military leader who visited the Beijing Museum; and the Senior General was the first foreign military leader who visited the world’s wonderful Three Gorges Dam.